new media. new ideas. 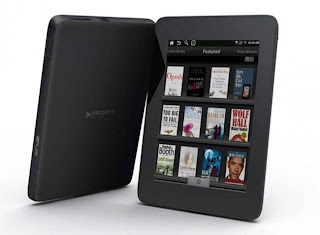 : Google's eReader - What's Missing? Google eBooks – What’s Missing? The flurry of digital publishing activity and prevalence of eReaders out there has a new high-profile kid on the block. With Google’s long-anticipated entry into the market, there’s now a platform-agnostic player in the game, with the potential to further revolutionize the publishing industry. At first blush, Google eBooks seems to offer it all: it works on pretty much any platform, it offers the latest best sellers and it’s got a large free offering as well. But what’s missing? What isn’t really touched on is how will Google’s free experience be monetized via the Google advertising machine? Call me crazy, but I’m hoping for some innovation in the space, with the ability to build in rich, animated advertising, offline tracking and integrated promotional platforms such as sweepstakes and interactive contests to make eReader advertising something advertisers can sink their teeth into. This revolution in electronics and publishing deserves a new advertising model that turns print upside down along with innovation in the digital space. With behavioral targeting in danger of getting the proverbial rug pulled out from under it by privacy advocates, the digital space is going to need to innovate and provide some real value in order to get people to opt-in to their cookie drops. If we look at the publishing industry from a macro level, we of course go far beyond books. Magazines have taken a huge hit from the digital space, with subscription numbers plummeting, titles closing shop and ad pages struggling under the new competition of new media and shifting media habits. This could be a whole, new game for the magazine trade, with archive issues, free in exchange for a bit of information and a few ads. Me thinks a great way to push subscription offers too. And don’t forget newspapers – there are multiple ways to monetize issues that may have slid past their 24 hour temporal shelf life. At the end of the day, a large part of the publishing industry has lived in the world of perishable inventory – that’s a touch game to play. With the world moving over to digital via eReaders, perishable becomes a much more subjective term and the 2D, static world of print has new possibilities. Think about a digital library, not funded by dwindling public funds but by advertising and sponsorship dollars.